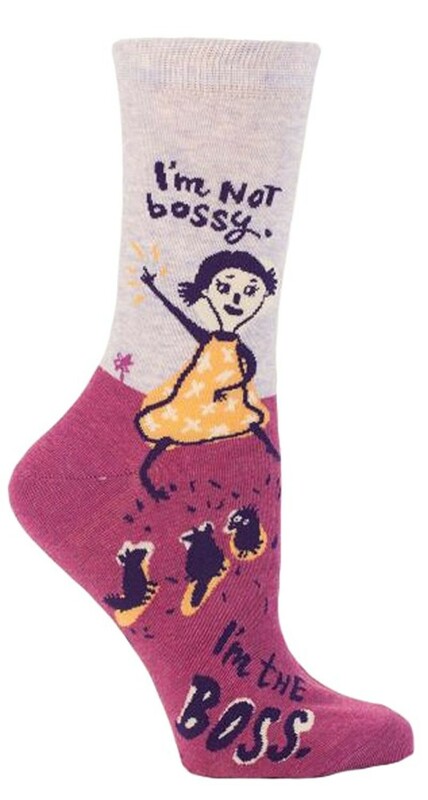 Are you tired of hearing the word "bossy" — especially when you're in charge? 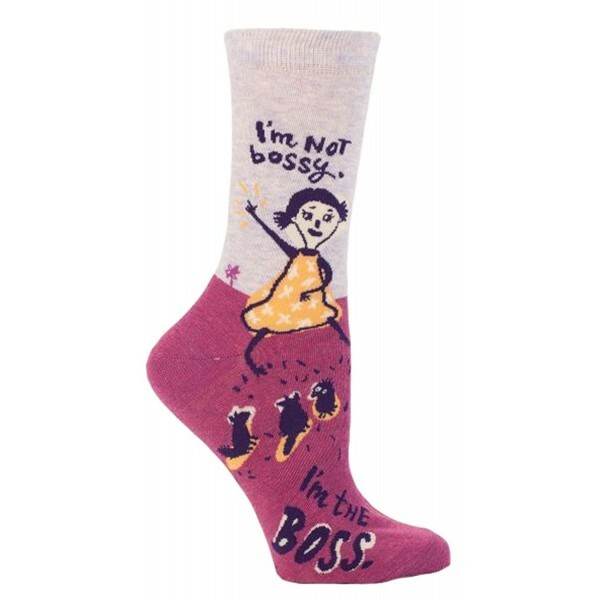 These socks from Blue Q will inspire leaders (and leaders-to-be) to remember, "I'm not bossy; I'm the boss!" These 53% combed cotton, 44% nylon and 3% Spandex socks are comfortable, colorful, and feature a fun, quirky design that she'll love. Available in one size which fits most women's shoe sizes 5 to 10.